“Come Spring” is a historical novel originally published in 1940. It is the story of the founding of a small town in Maine, Union, “by ordinary people in an ordinary way.” It is why the Come Spring Cafe has always caught my eye. It is a cute little diner that normally has lots of cars in the parking lot and along the road. Open Monday – Saturday 6 a.m. to 2:30 p.m.; Sunday 7 a.m. to 2:30 p.m.
That should have been our first clue that this is a popular place, and that we should have stopped by much sooner. But on a recent overnight visit to Union we had the perfect timing to have breakfast here. And what a breakfast it was. 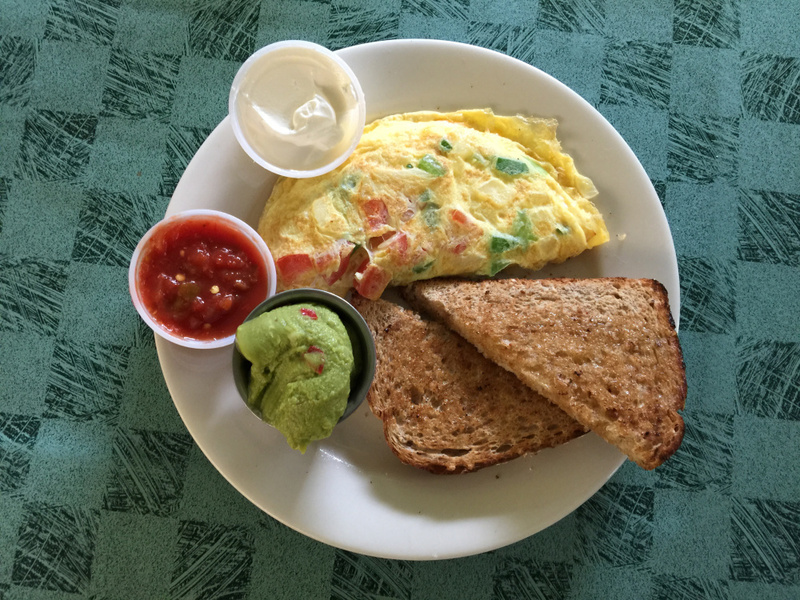 Breakfast plates are priced at $5.95-$7.75 and range from typical egg dishes to sausage and gravy and even French toast with strawberries and whipped cream. It is safe to say that nobody walks away from here hungry. A nice selection of omelets, ($4.50-6.75) caught my eye. I ordered a creative version of a Spanish omelet with onion, peppers, tomato and cheese. What really intrigued me was the inclusion of salsa and guacamole. The omelet was nice and light and very good. Guacamole for breakfast … why haven’t I thought of that before? The cafe’s version was incredible. Two brightly lit rooms make this a cheery spot. The staff is welcoming and friendly and the service is great. Our server, Justine, told us that the beautiful curtains were made by the previous owner’s mother, and that they change with the seasons. A combination of counter service, tables and booths in two rooms make this an easy place to visit with friends. People come here not only for great food, but also to catch up with one another. It’s clearly an important community spot. This is home cooking at its best. Many of the close-knit staff have worked there for years. The cafe is open for breakfast and lunch, and offers creative choices, large portions and reasonable prices. 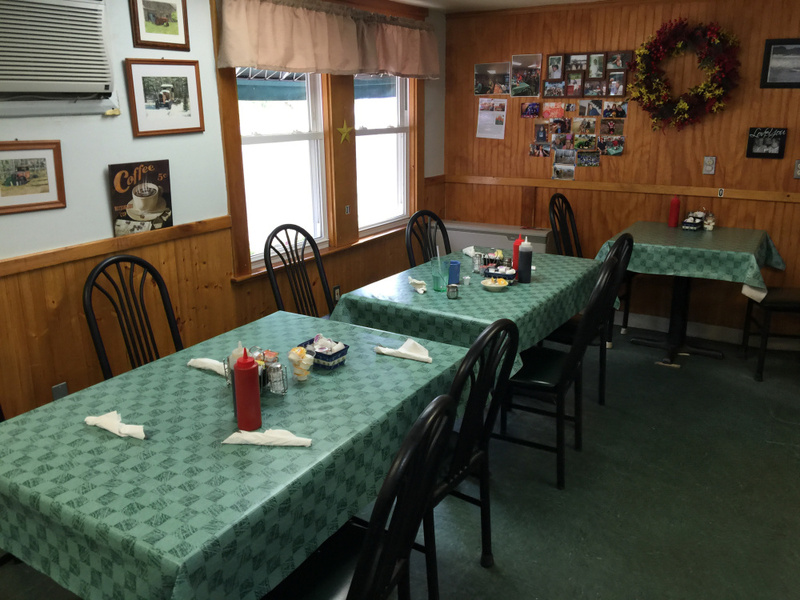 We love discovering the small-town cafes that gather the community for breakfast, lunch and talk. Come Spring Cafe is one of those places, with a variety of seating in two rooms, friendly staff and customers, and wonderful food. Given that the novel “Come Spring” is one of my favorites, I can’t believe we hadn’t eaten there before this. I don’t know how they make any money, because their prices are low, especially for their large portions. You can get an egg and toast for just $2.50, less than a cup of coffee at a fancy coffee shop. Heather Smith took ownership of the cafe last year and, assisted by her partner Chris Allen and an experienced staff, she has maintained everything local folks love about this place. Heather was born and raised in Calais, so I guess she knows just what a local cafe means to a community. Throughout the cafe, people were visiting with each other table to table. I noted two ladies standing near a table, getting acquainted with two other ladies sitting at the table. As I walked by, they discovered they were connected somehow. Yes, you will feel connected here. I walked around, enjoying the art and other decorations, including an old saw. I had a hard time choosing something from the menu. The biscuits and gravy were calling my name, but I love corned beef hash, so that was my choice. 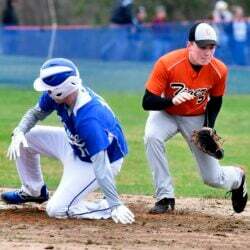 It was a good one. 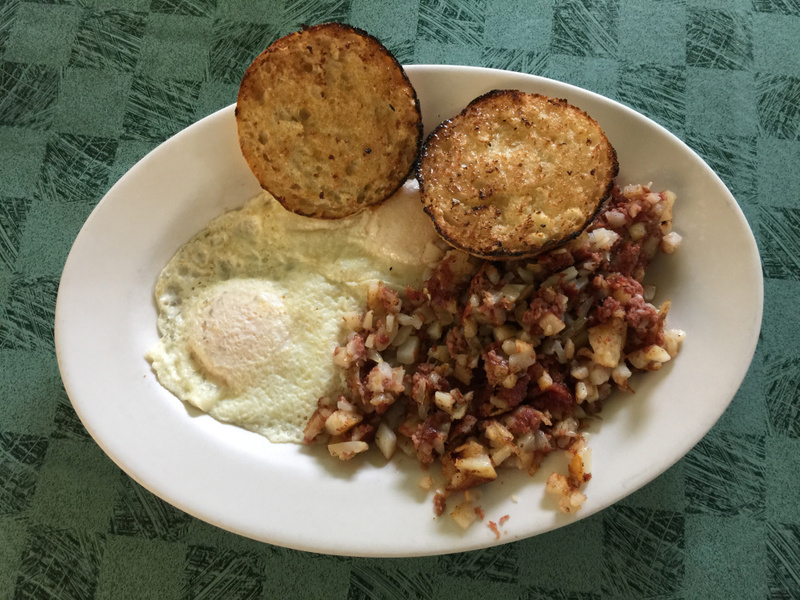 I enjoyed the homemade hash with two eggs and a crispy English muffin, for just $7.75. The hash was tasty (but not too salty) with lots of meat, and the portion was large. I’d been eating for quite a while, and it didn’t look like I’d even started. Linda liked it, too. After we ordered, Linda flipped over her menu and discovered a lot more choices, a good reason to return soon. And after spending some time admiring the lunch menu, we’re going to need to have lunch there soon. Their turkey reuben ($7.95) and haddock reuben ($8.95) caught my eye. Our daughter Rebekah, son-in-law Patrick and grandsons Addison and Vishal live in Union, so it’s going to be easy to get to the cafe more often. And that is very good news indeed.